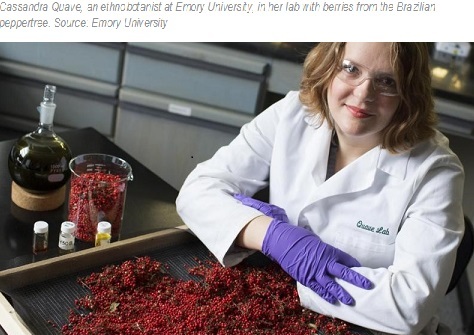 The red berries of the Brazilian peppertree -- a weedy, invasive species common in Florida -- contain an extract with the power to disarm dangerous antibiotic-resistant staph bacteria, scientists at Emory University have discovered. The journal Scientific Reports is publishing the finding, made in the lab of Cassandra Quave, an assistant professor in Emory's Center for the Study of Human Health and in the School of Medicine's Department of Dermatology. No one wants to catch the flu, and the best line of defense is the seasonal influenza vaccine. But producing an effective annual flu shot relies on accurately predicting which flu strains are most likely to infect the population in any given season. It requires the coordination of multiple health centers around the globe as the virus travels from region to region. Once epidemiologists settle on target flu strains, vaccine production shifts into high gear; it takes approximately six months to generate the more than 150 million injectible doses necessary for the American population. Incorrect or incomplete epidemiological forecasting can have major consequences. In 2009, while manufacturers, including MedImmune and Sanofi Pasteur, were preparing vaccines against the anticipated strains, an additional influenza strain, H1N1, emerged. The prepared vaccine didn’t protect against this unanticipated strain, causing worldwide panic and over 18,000 confirmed deaths – likely only a fraction of the true number, estimated to exceed 150,000. Better late than never, a vaccine was eventually produced against H1N1, requiring a second flu shot that year. Given that influenza has caused the majority of pandemics over the past 100 years – including the 1918 flu that resulted in as many as 50 million deaths – we’re left with the question: Can scientists produce a “universal” vaccine capable of protecting against diverse strains of influenza, one that doesn’t require annual predictions by epidemiologists and a yearly shot for you? Or send us an email message with your name, phone and a brief description of the product you are looking for, and we will answer to you promptly! The Food and Drug Administration on Friday approved the first treatment for children and adults with spinal muscular atrophy, a rare genetic disorder marked by progressive muscle weakness that's the most common genetic cause of death in infants. The agency that it approved the drug, Spinraza, after granting it fast-track status. It was developed by Ionis Pharmaceuticals Inc. of Carlsbad, California, and Biogen Inc. of Cambridge, Massachusetts. Biogen will market it. The organization Cure SMA says spinal muscular atrophy affects about 1 in 10,000 babies, and about 1 in every 50 Americans is a genetic carrier. The FDA noted the disorder, which affects the motor nerve cells in the spinal cord, can impact people of any age. Its symptoms and rate of progression also vary. Spinraza is injected into the fluid surrounding the spinal cord. Biogen said that in a clinical study, the drug brought about "meaningful improvement in motor function compared to untreated study participants." 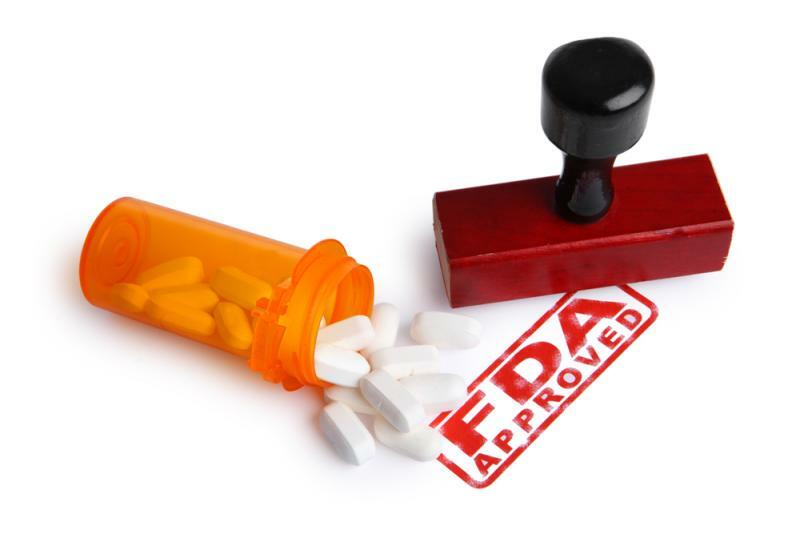 With the FDA approval, Ionis will receive a $60 million milestone payment. It's also in line for royalties on Spinraza sales. It shares rose $3.69, or 7 percent, to $57.10 in after-market trading following the announcement of the drug's approval. Biogen rose $9.47, or 3.3 percent, to $297. Uno Healthcare Inc., based in Doral, Miami, Florida, presents its new website, much more functional, attractive and informative. Developed to make it easy for the visitor to search for any difficult to find imported medication, the site presents a pleasant look, with easy interaction. Easily search the product you want and if you do not find it, just send some information so that our team of specialists can search your product in our extensive network of suppliers in the United States, Europe or elsewhere in the world. Once we find your product, we will send you a quotation and you will have more than 20 years of experience in the process of importing/exporting medicines, with security, technical knowledge, logistic expertise. All that expertise will lead your product to leave the supplier and arrive directly to your door in perfect conditions. We have packaging expertise and knowledge to transport refrigerated products and we do it routinely, every week for more than 20 years in complete safety! Weekly we will have news on New Products, Health and Wellbeing here in our blog and whenever you have any questions, visit us and read everything you need, or ask us and we will be happy to answer you promptly.